Only Pharrell can perform a song four times in one gig and it still be awesome. That song being his new song ‘Freedom,’ specially for Apple Music, with which he opened the show, and delivered an encore with ‘Freedom’ performed three more times. This was the first Apple Music gig that had a huge, large-scale production, with dancers all over the stage throughout. Sections of the concert were dedicated solely to the dancers- an all female line-up, there was even a break dance section. Pharrell also got members of the audience up on stage to party with him, particularly in this song ‘Lap dance’- and had “the future of England” up on stage in his last few performances of ‘Freedom’ (a group of children from the audience). 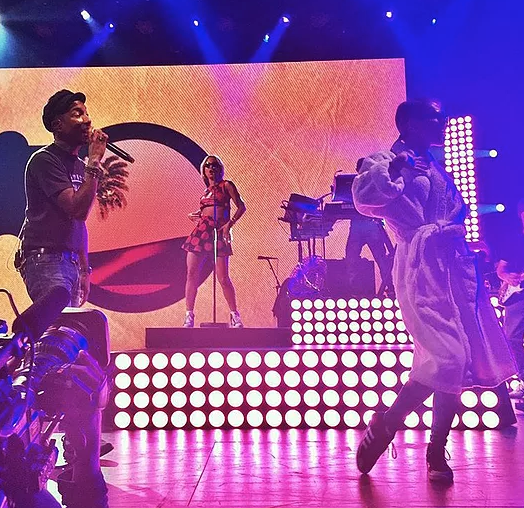 Pharrell went back to where it all began with his group N.E.R.D, performing their hit ‘Spaz’ with band member Shae Haley coming on stage- a very rock sound, and considerably different from Pharrell’s solo music. The heavy, crunky electric guitars took over, particularly in N.E.R.D’s song ‘Rock Star’. Pharrell performed all his famous collaborations in a group at the end, including ‘Blurred Lines,’ ‘Get Lucky,’ and a performance of Gwen Stefani’s ‘Hollaback Girl’ by the backing dancers and singers, the song being written by Pharrell. This section just reminded us all on what a musical genius Pharrell is, in his performance, production, and writing. 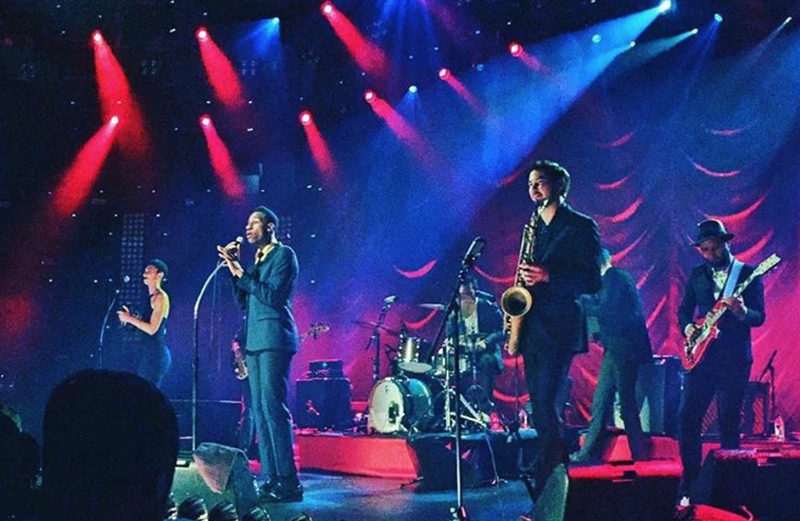 Leon Bridges opened the night with his wonderful jazz music, the saxophone really standing out for me. Along with the saxophone, the rest of the band also really carried the gig, his backing singer being an essential part of the performance. She had the smoothest, softest vocals ever, and it complimented Leon’s deep voice amazingly. Leon performed some really upbeat funk style music too, such as ‘Twistin’ and Groovin,’’ which featured heavy electric guitar, and his beautiful song ‘Lisa Sawyer’ written for his mother. The suit and tie was really a plus! Pharrell appeared overwhelmed with the support he received on the night, commenting on the “universal force of good will” in the room, and accenting his appreciation of women, and England. He certainly performed one insane, exciting , versatile set, bringing back the rock N.E.R.D days, as well as his classics such as ‘Happy.’ The whole gig certainly was just happy- very colourful, very dancey, all-inclusive and supportive. Check back here for the last two nights of The Apple Music Festival- where Jack Garratt, Mumford and Sons, James Bay, and Florence and The Machine take to the stage at Camden’s Roundhouse!